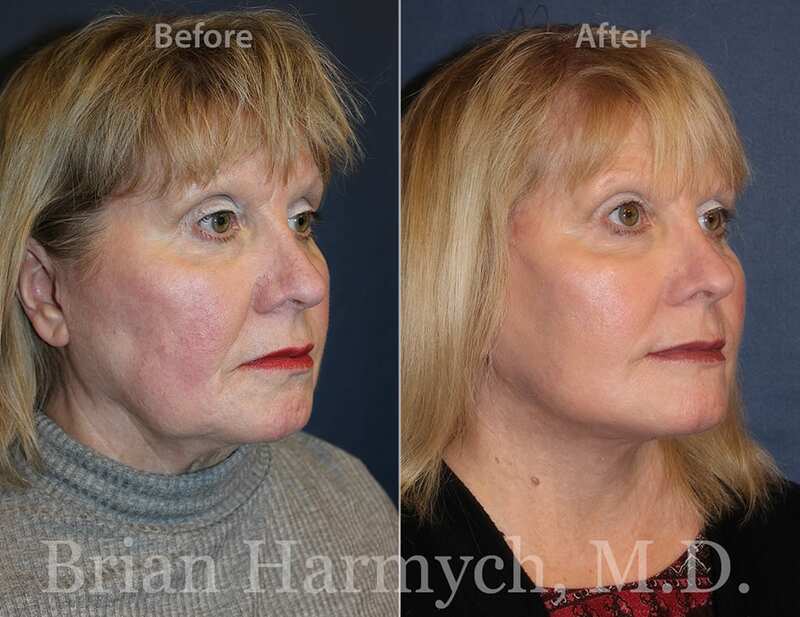 Dr. Harmych is double board-certified and fellowship-trained facial plastic surgeon, specializing in neck lift and facelift surgery in Cleveland, Ohio. 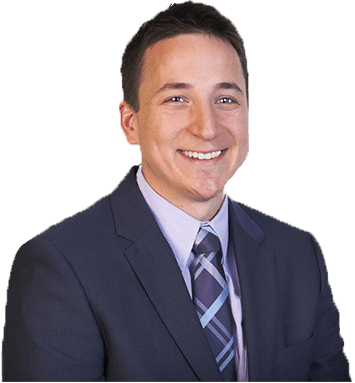 Dr. Harmych is board-certified by the American Board of Facial Plastic and Reconstructive Surgery (ABFPRS) and the American Board of Otolaryngology – Head and Neck Surgery. 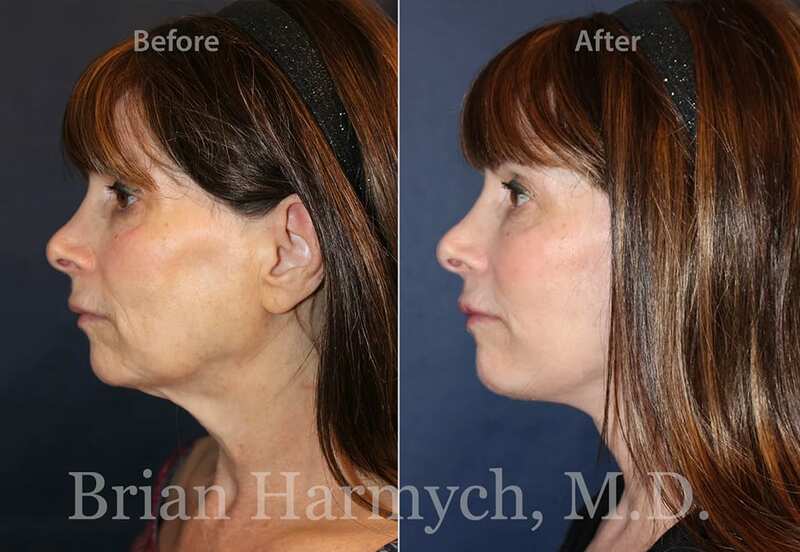 As a double board-certified facial plastic surgeon, a large percentage of all procedures performed by Dr. Harmych are either facelift or neck lift procedures. 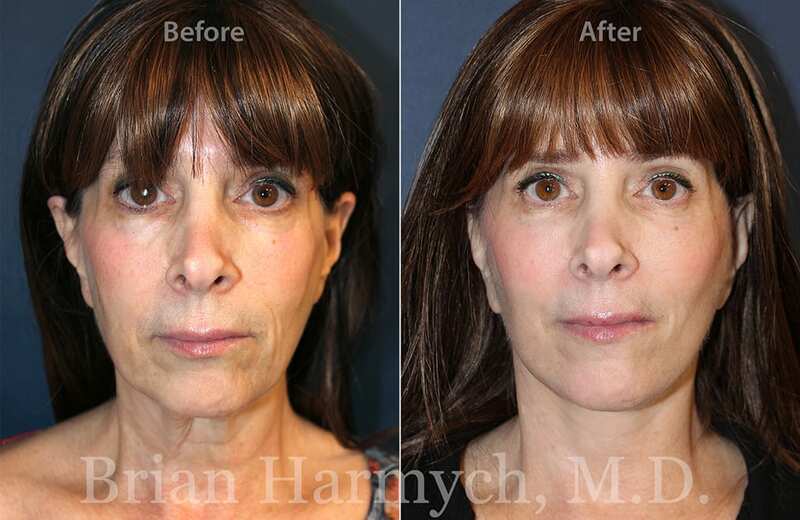 Dr. Harmych does not perform any breast, abdomen or body plastic surgery and is a specialist in facial plastic surgery. 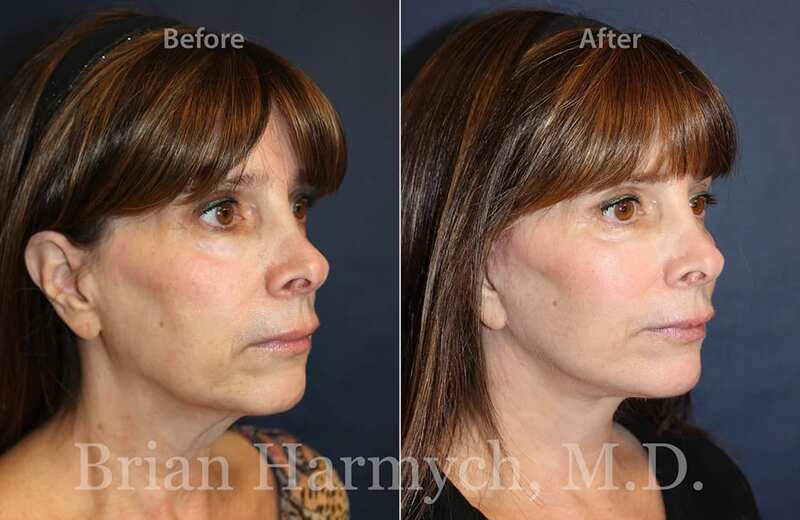 A neck lift corrects loose skin in the neck, sagging skin along the jawline (jowls) and drooping of the lower face. Sagging skin or excess fatty tissue in the neck is often the result of aging and unfortunate inherited traits and disrupts the healthy, youthful neck and jawline contour associated with youth. Patients often refer to this as a “turkey gobbler” or “wattle” of the neck. 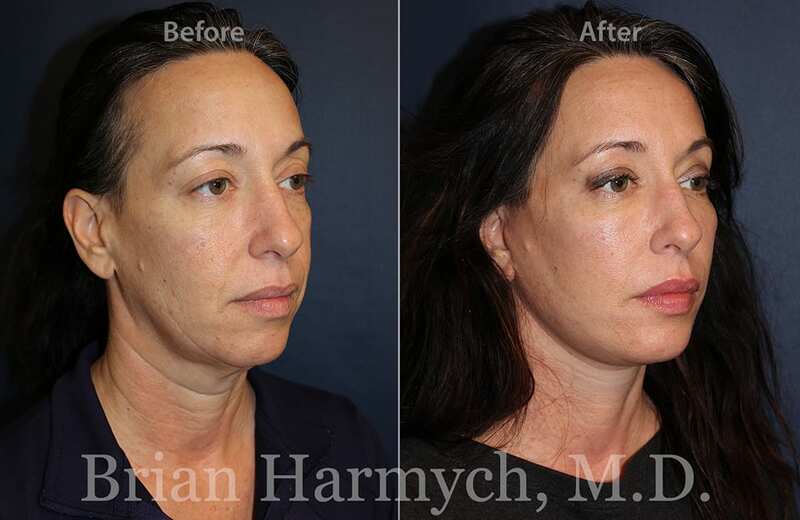 Neck lift surgery rejuvenates the neck and jawline by repositioning or tightening the sagging neck muscles and removing excess fatty tissue and skin restoring neckline and jawline contour. 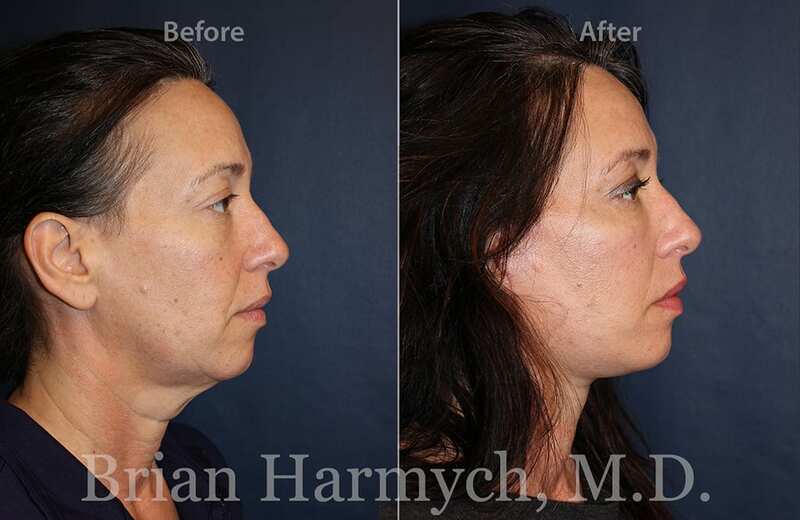 Healthy men and women with appropriate expectations who are bothered by sagging skin and excess fat in the neck may be excellent candidates a neck lift. 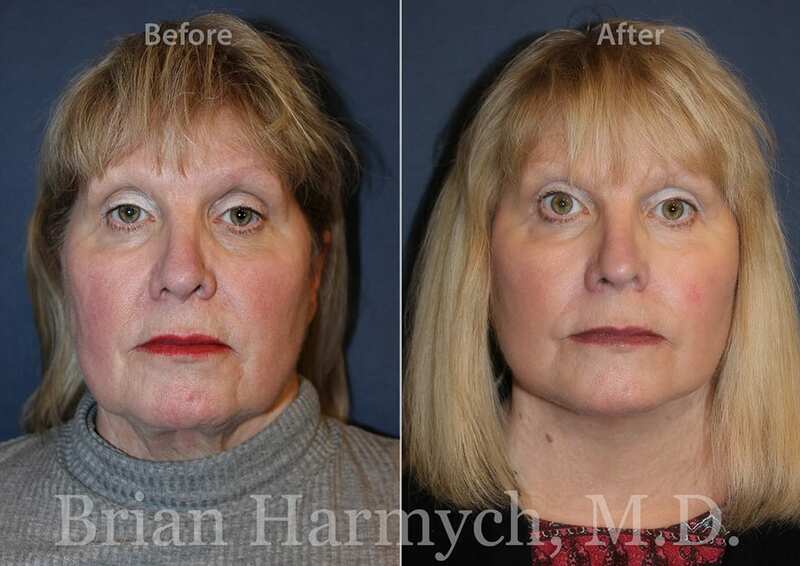 Facial rejuvenation surgery, including facelift and neck lift, is not intended to make patients younger but to turn their inner youthful selves outward. The most appropriate candidates are seeking subtle to moderate improvement that will prompt comments such as, “Have you been getting more sleep?” or “Did you take a vacation?,” indicating a natural, healthy, and rejuvenated look, as opposed to an unnatural, operated-upon appearance. The best candidates for neck lift surgery are those who are healthy, who do not smoke, and have realistic expectations. 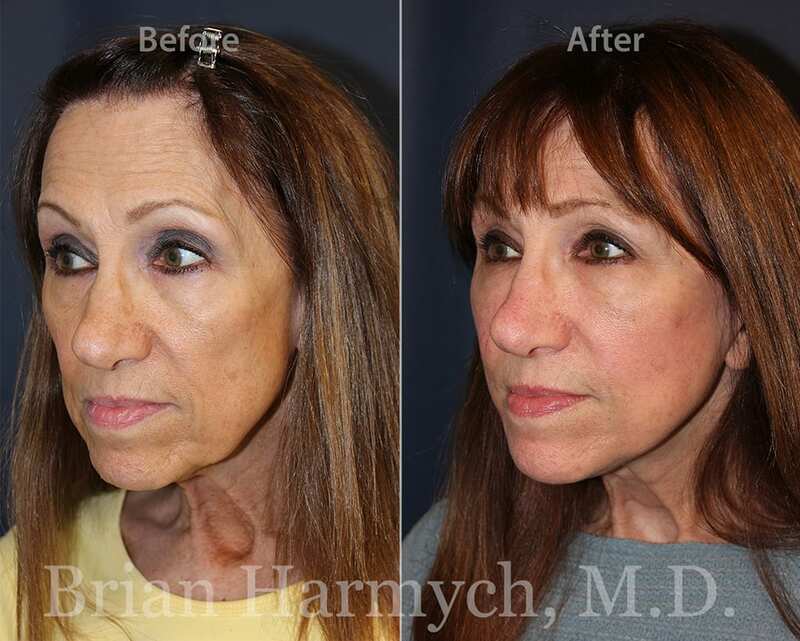 Neck lift surgery does not stop the aging process; it simply turns back the clock a few years. While the aging process naturally continues the neck will always appear younger and more youthful. 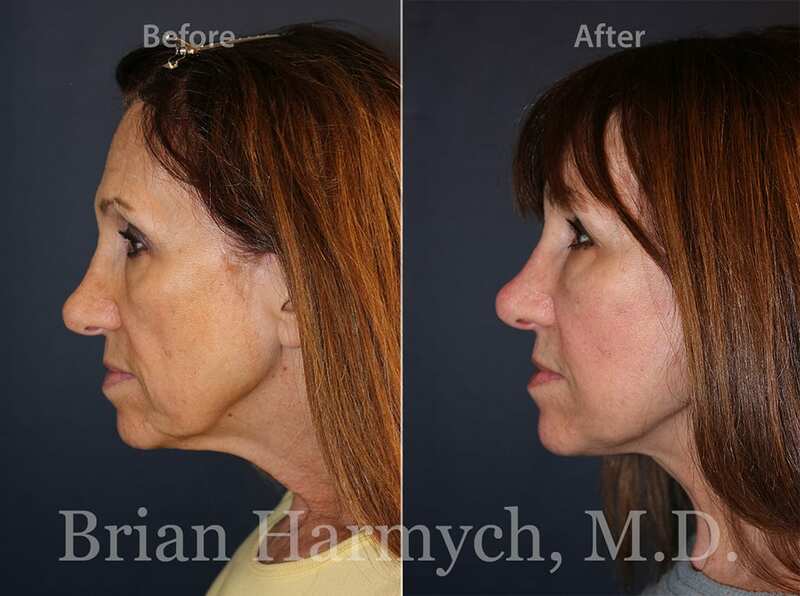 Neck lift is usually performed under moderate sedation or general anesthesia. A small incision is hidden in a natural skin crease beneath the chin. In most neck lift procedures a small amount of neck liposuction is performed. The “lifting” or “tightening” is achieved by repositioning the muscles of the neck. In patients with more advanced aging who have a large amount of redundant skin and sagging neck muscles, additional incisions are hidden behind the ear and within the hairline. The incisions are closed with small sutures and a soft head wrap dressing is placed. To achieve the best results, neck lift may be performed in conjunction with other neck and jawline rejuvenation procedures such as chin and jaw augmentation, neck liposuction and facelift. 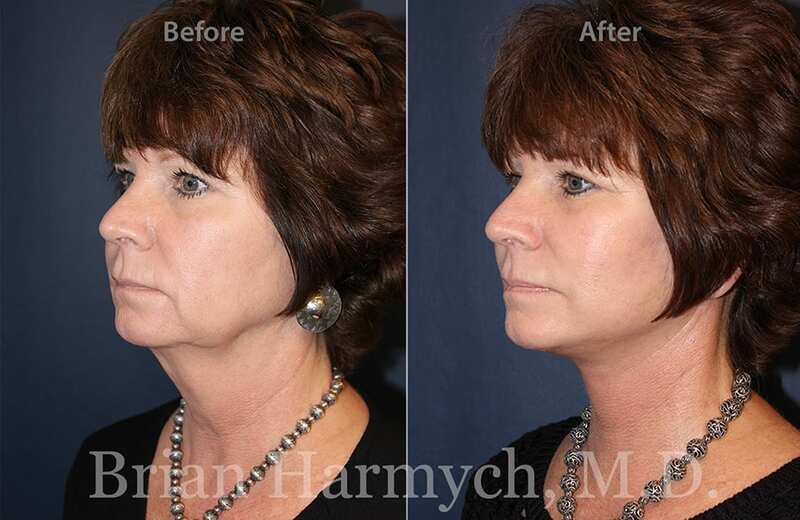 What is the Recovery like from Neck Lift Surgery? Neck lift is performed on an outpatient basis with most patients returning to the comfort of their own home within a few hours. All patients are encouraged to be up and about with assistance on the day of surgery. The dressing is removed by Dr. Harmych on the day after the neck lift procedure. 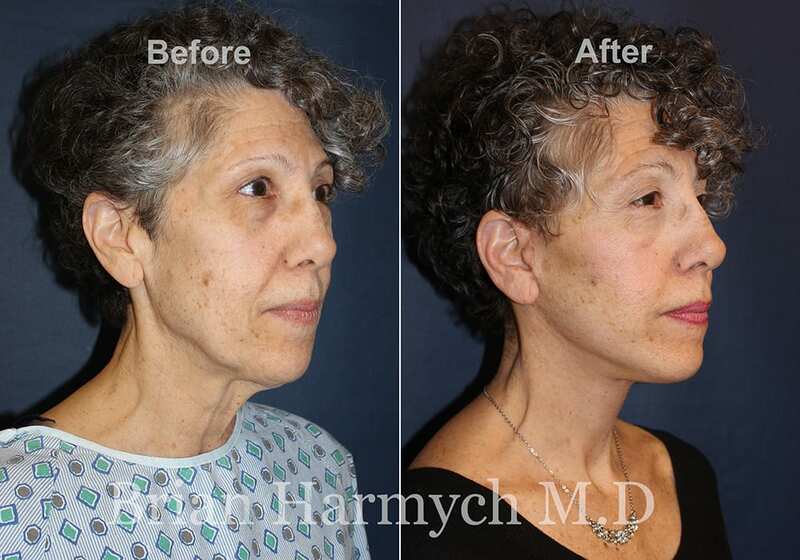 In Dr. Harmych’s experience, neck lift is not very painful. Prescription pain medication may be required for 1-3 days. Mild discomfort, numbness, tightness and bruising may last several weeks. After 10-14 days almost all patients feel confident returning to work and social activity. Most patients may resume full activity in about 3-4 weeks. Bruising and swelling are reduced and recovery time shortened with the use of homeopathic herbal supplements. Those considering facelift or neck lift should carefully evaluate their surgeon’s training and credentials. 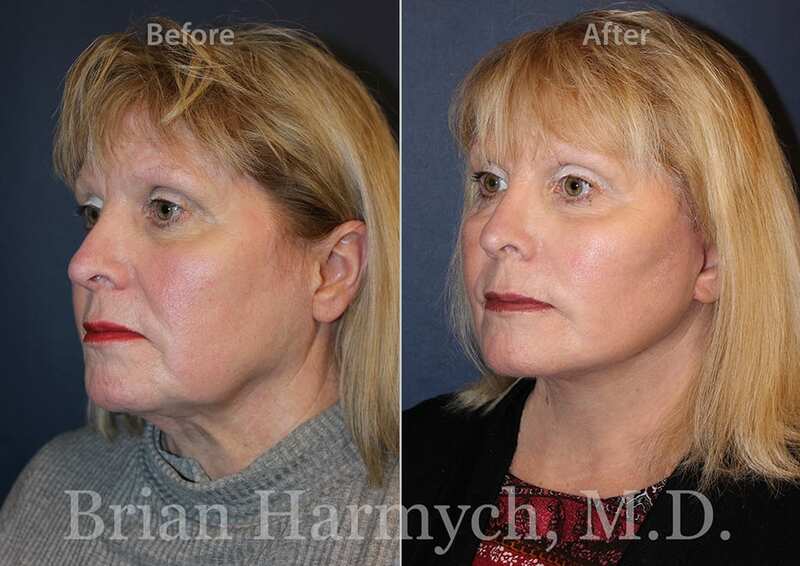 Dr. Brian Harmych is double board-certified by the American Board of Facial Plastic and Reconstructive Surgery and the American Board of Otolaryngology – Head and Neck Surgery and is one of the only fellowship-trained Facial Plastic & Reconstructive facelift and neck lift surgeons in the Cleveland area. He has the knowledge and expertise to offer the best results. 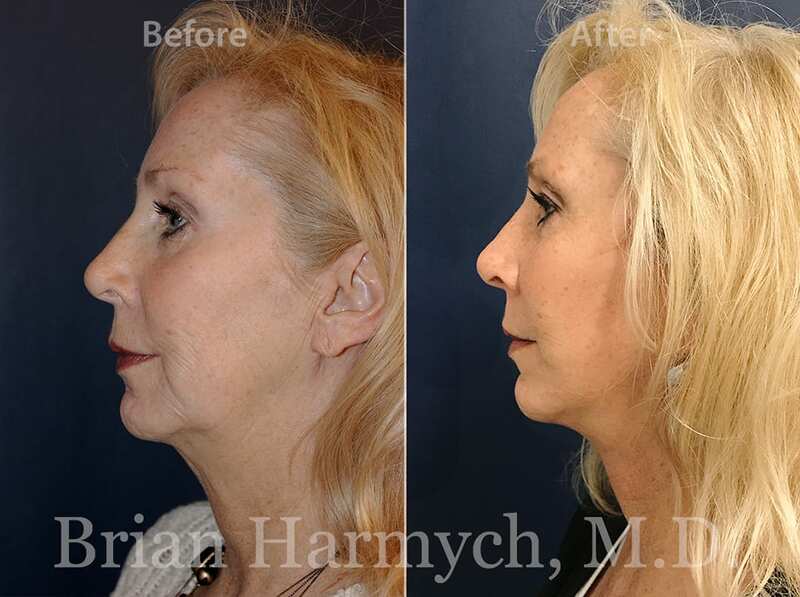 Schedule a free consultation with Dr. Harmych and learn more about your options for Facelift or Neck Lift in Cleveland, Ohio. 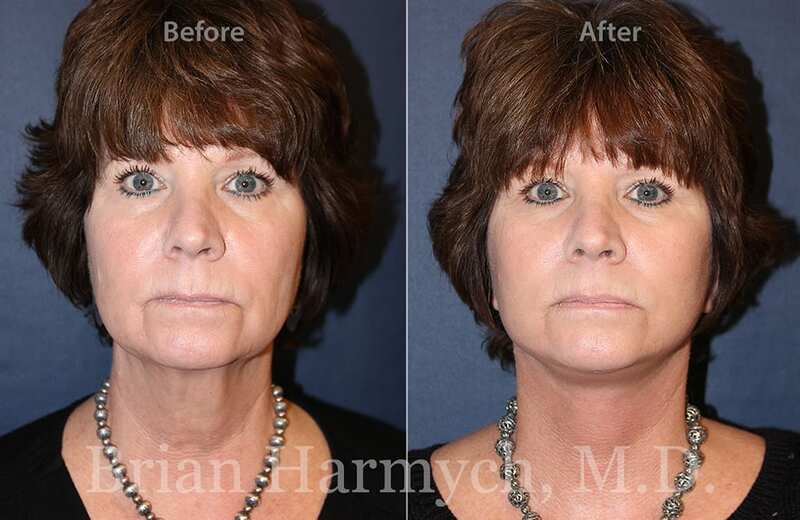 Where should I go for Neck Lift and Facelift Surgery in northeast Ohio? 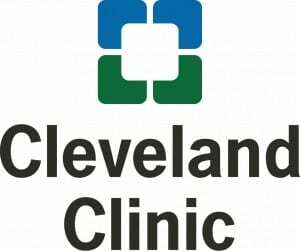 Harmych Facial Plastic Surgery is located in the Cleveland, Ohio suburb of Pepper Pike near Beachwood, Ohio. 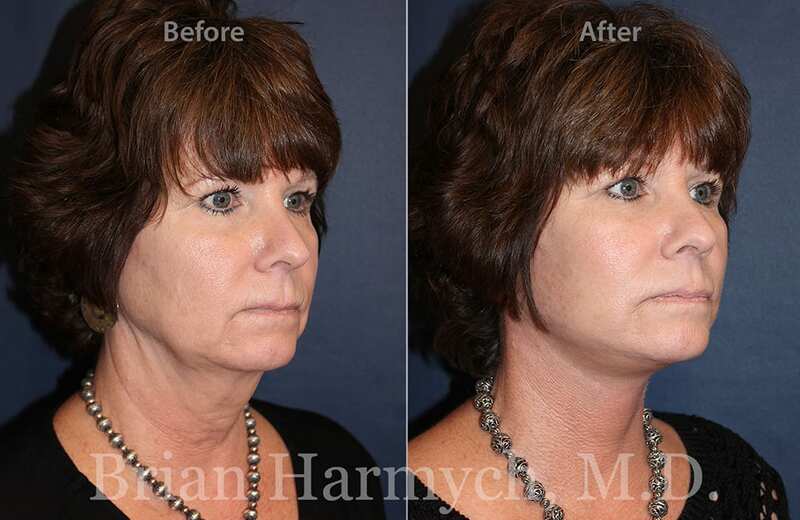 Schedule a consultation at our Beachwood location and see if Neck Lift and Facelift Surgery is a good option for you.